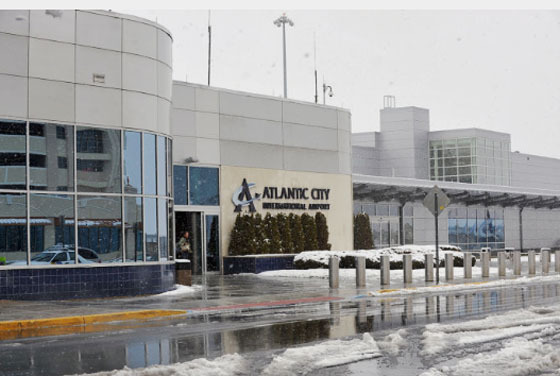 The Atlantic City International Airport is located in nearby Pomona NJ, only a short drive from Atlantic City by car. Spirit Airline is the main carrier at this airport and provides seasonal direct flights from numerous US cities, including Atlanta, Boston, Detroit and Chicago. Spirit also has flights to Fort Meyers, Orlando, Tampa, West Palm Beach and Myrtle Beach. Atlantic City is only about one hours drive from the Philadelphia International Airport. Follow Route 95N, then take Route 76 across the Walt Whitman Bridge to Route 42, which turns into the Atlantic City Expressway. 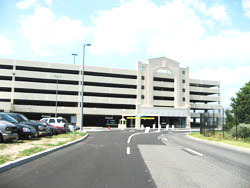 As of June, 2008 the airport has a new 1370 space, six-story parking garage. The 119th Fighter Squadron, a unit of the New Jersey Air National Guard 177th Fighter Wing is located at Atlantic City Air National Guard Base at the Atlantic City Airport. 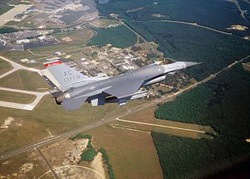 The 119th is equipped with the F-16 Fighting Falcon aircraft. The William J. Hughes FAA Technical Center is located alongside the airport.